Cadureso - Clinical Oncology Summit Approaches, Anticipation Mounts! 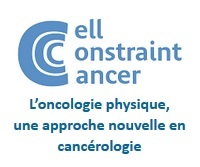 AccueilActualitéIndustrie de la SantéClinical Oncology Summit Approaches, Anticipation Mounts! Clinical Oncology Summit Approaches, Anticipation Mounts! LONDON, UK (GlobalData), 18 May 2012 - The upcoming American Society of Clinical Oncology (ASCO) meeting is one of the most highly anticipated events in the world of cancer pharmaceuticals. This year’s 48th annual meeting will be held in Chicago from June 1-5, and investors and media outlets are already buzzing. The meeting abstracts released by ASCO on Wednesday, May 16 represent a “who’s who” of established and insurgent oncology companies. Exciting new data will be presented from biotechs like Medivation and Oncothyreon, who are gearing up for their first shot at regulatory approval, as well as from veteran players like Roche, Bayer and GlaxoSmithKline. While the majority of abstracts were unveiled Wednesday night, several high-profile abstracts have been withheld until the day of presentation. TDM-1 (trastuzumab-emtansine), Roche/Genentech and Immunogen’s HER2+ breast cancer antibody-drug conjugate, has scored a coveted spot in the meeting’s plenary session on June 3. While ASCO has not released the abstract for this presentation, Genentech has announced that it will be presenting the data from its pivotal Phase III EMILIA trial. Tantalizing top-line data was presented back in March which demonstrated that TDM-1 improved progression-free survival in patients with metastatic HER2+ breast cancer. GlobalData reported that these data were promising, and that TDM-1 had blockbuster potential, but only if it increased patients’ overall survival. Since EMILIA has been given one of the very few spots in the plenary session, GlobalData predicts that this hotly anticipated overall survival data will be presented. With data showing that TDM-1 increases patient’s overall survival compared to current treatments, Genentech should not have a problem getting the drug approved. The abstract from a heavily hyped presentation on Zytiga (abiraterone), Johnson & Johnson’s prostate cancer drug, has also been withheld. Zytiga is already approved for the treatment of castration-resistant prostate cancer (CRPC) that has failed docetaxel therapy, and Johnson & Johnson is aiming to extend its indication to chemotherapy-naïve metastatic CRPC patients. Interim data from the Phase III COU-AA-302 study, which investigates Zytiga as a first-line treatment for CRPC, will be presented on June 2. As Zytiga appears to have a more favourable side effects profile than docetaxel, the current first line treatment for this indication, positive overall survival data would virtually guarantee FDA approval for the line extension and a substantial boost to Zytiga sales. However, as only interim data will be discussed, it is more likely that the presentation will focus on the less significant progression-free survival endpoint. Johnson & Johnson will also present data from yet another potential expansion of the Zytiga franchise: data from a Phase II study that showed neoadjuvant Zytiga in combination with Lupron (leuprolide acetate) increased the likelihood of completely curing localized high-risk prostate cancer in conjunction with surgical removal of the prostate. This truly is an action-packed time for Zytiga: earlier this week, the UK’s National Institute for Health and Clinical Excellence (NICE) reversed its initial negative guidance with a recommendation in favour of Zytiga for the treatment of CRPC that has failed docetaxel therapy. The reversal was enabled by an undisclosed price discount offered to NICE by Johnson & Johnson’s Jannsen unit, which sells the drug in the UK. The thumbs-up from NICE, coupled with the very real possibility of dramatically increasing its market size with new indications, make Zytiga one of the hottest drugs to watch at ASCO. Data on TDM-1 and Zytiga are by no means the only interesting and possibly industry-changing presentations taking place at the upcoming ASCO meeting. But GlobalData believes that positive data on these drugs will expedite their approval for indications with unmet needs, and seriously impact the treatment algorithms for prostate cancer and HER2+ breast cancer. We are also eagerly looking forward to clinical data presented on a number of up-and-coming cancer drugs including Exelixis’ cabozantinib, Bayer and Onyx’s regorafenib, Aveo Pharmaceuticals’ tivozinib and Ariad Pharmaceuticals’ ponatinib. Overall, GlobalData is hopeful that this ASCO meeting will highlight a wealth of promising new solutions for a broad range of oncologic indications.